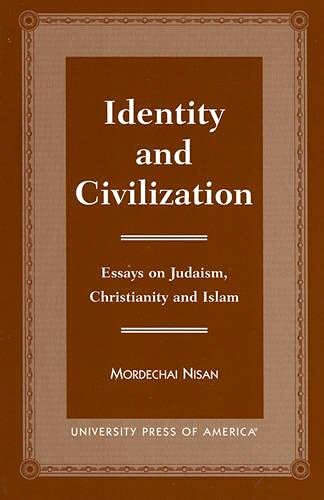 Identity and Civilization looks at Judaism, Christianity, and Islam as contemporary rivals in the political arena, focusing on the contemporary encounter between Israel and the Muslim and Arab peoples. Mordechai Nisan unearths the essential features of these religions and the communities that adhere to them, while clarifying the prominent political antagonism of recent history. He explores the role of the profound forces of faith and culture that provide the people in the Middle East with their integral identity and therefore shape the political situation. Nisan uses compelling intellectual arguments to expose the hard realities that must be understood by all parties before a successful peace can be achieved in that area. Mordechai Nisan is a lecturer in Middle East Studies at the Hebrew University of Jerusalem in the Rothberg International School.